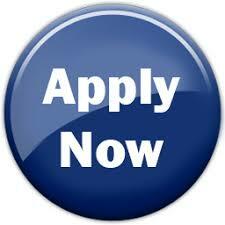 Petroleum Training Institute > NEWS > APPLICATION INTO PART TIME/ICE PROG. NOW TO CLOSE 31st DEC. The Petroleum Training Institute (PTI), Effurun, invites​​ applications from suitably qualified candidates, for admission into the under-mentioned Part-time (SICE) weekend programmes in Higher National Diploma (HND), ( National Diploma Programmes for the 2018/2019 Academic Session. and National Diploma (ND) levels. HND and ND candidates are to possess five (5) Ordinary Level Credit passes relevant to the choice of programme which must include​​ English Language and Mathematics, while HND candidates must possess in addition to the above requirement, National Diploma (ND) relevant to their choice of programmes. ​​ ​​​​ For details see online admission prospectus for 2018/2019 Academic Session. If the portal rejects your USER NAME and PASSWORD in your attempt to login again after payment, then mail​​ itsupport@pti.edu.ng​​ stating your RRR code. Do ICE go for youth service? No they don’t. They apply for a letter of exemption from NYSC online. Do you have any news about HND list? Please help. How much is the school fees of hnd 1and how many course do they offer in each semester. Am I eligible for admission into HND weekend in your institution to study any course of my choice with my OND computer science result with lower credit grade from Delta state polytechnic ogwash uku. Message * Please what is the full meaning of ice and how much is part time school fees, do part time go for service? Please, when is 2018/2019 ice part time entrance exam coming up. Message can part time go for I.T and how much is their school fees?